The Illinois Department of Public Health (IDPH) is spreading awareness about health issues that impact minority communities at higher rates than others during National Minority Health Month. Illinois’s racial and ethnic minorities make up 39 percent of the state’s population, but share higher rates of disease burden such as diabetes, cancer, heart disease, stroke, HIV, substance abuse, infant mortality, and low birth weight. Although health indicators such as life expectancy and infant mortality have improved for most Americans, minorities still experience shorter life expectancy and higher rates of disability compared with non-minorities. 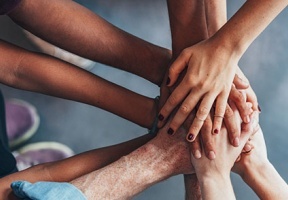 National Minority Health Month, which is celebrated every year in April, is an effort to raise awareness about health disparities that continue to affect racial and ethnic minority populations. In accordance with this year’s National Minority Health Month theme, “Partnering for Health Equity,” IDPH’s Center for Minority Health Services will continue to bridge efforts and awareness across the state and increase partnerships in order to help accelerate health equity and make the state of Illinois a stronger and healthier state.